Are you moving to or from the Windsor area? If so, A-Team Removals Windsor can help. A small but established local removals firm, we’ve been streamlining home and office removals in Windsor, Berkshire, since 1985. Moving house can be a stressful time, but choosing a trustworthy house removals company like A-Team Removals can make a big difference. Experts in house removals Windsor, we’ll take the pressure off you by helping to plan the logistics of your move. 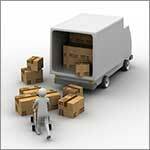 We’ll also take the stress out of the preparations with our packing service. After ensuring everything is well packed, our experienced team will take great care of your possessions to ensure they arrive at your destination unharmed. If your new place won’t be ready to move into straight away, we can also provide secure storage. Why not read what previous customers have said about their experience of moving with A-Team Removals here? With over 25 years’ experience, we are one of the most trustworthy removal companies in Windsor. Whether you’re moving to a new home or office, we’d be delighted to provide a free, no-obligation quotation. Call us on 01344 457416, email us at info@a-teamremovals.co.uk or click here to complete our contact form.